Boston Functional Nutrition now has an InBody 570! The absolute top of the line machine for measuring body composition. As our clients know well, we are NOT fans of traditional scales that give you a static number that doesn’t tell you anything at all about what’s really important: your body composition (i.e. body fat, lean body mass (muscle), and water levels). And the at home models that tell you these numbers aren’t at all accurate. The InBody 570 scale measures body fat, muscle mass, water, and basal metabolic rate (how many calories your body burns at rest), among other valuable measurements that we can use to track your progress and customize your nutrition and lifestyle plan. If you are serious about managing your weight and improving your health, you should know your body composition. And there is no pinching with calipers (which is not a reliable way to measure body composition anyway!) and no submerging in a tank, this is a very easy, extremely accurate, non-invasive test that takes less than a minute. Body composition also gives you a new way to think about and approach your weight. It provides way more useful information than relying solely on Body Mass Index (BMI) – the traditional way to determine if you are at a healthy weight. BMI is simply a number that represents your weight relative to your height. But if you are even a little bit athletic, or if you lead a fairly sedentary lifestyle, BMI can be misleading. Think about athletes, who tend to have high BMIs, but low body fat percentages. Or a desk-bound office employee at a healthy BMI who eats well. Sedentary adults working in offices who do not exercise are known to lose muscle mass, especially in their legs. This leads to a drop in weight in muscle mass, but fat remains. This can lead to high body fat percentages, even in individuals with “normal” weights and BMIs. Yes, you are reading that right -you can appear thin but still have a high, unhealthy level of body fat! Body composition analysis can also be a useful tool as we work together. You’ll see the changes in your body composition and metabolism in black and white. It is very motivating! Every 4-6 weeks. It takes roughly this long to see tangible results in body composition. Must have access to bare feet, so please no tights or pantyhose. Do not exercise or eat 4 hours prior to your test. Do not wear jewelry – all jewelry will have to be removed prior to testing. 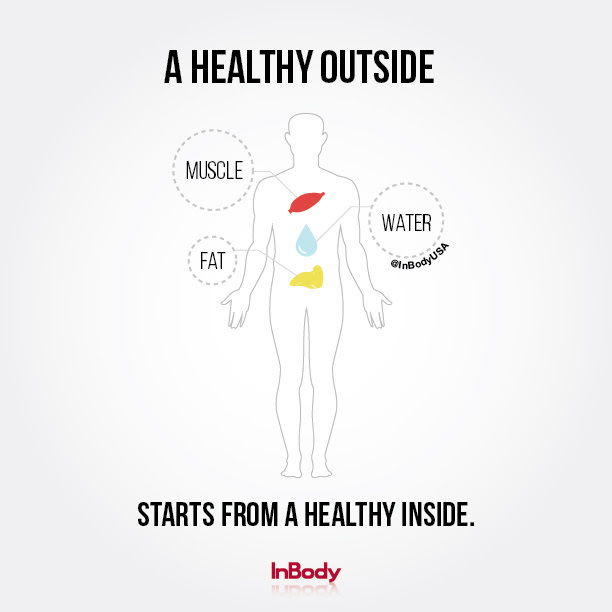 Do not use the InBody after a shower or sauna session. It is optimal, though not required, that women be measured while not having their periods, as total body water will be higher than normal. Do not use the InBody if you have a pacemaker or other electronic medical device implanted, or are pregnant. Cost: This test is only available to Boston Functional Nutrition clients. Please book a session to get a scan with analysis.